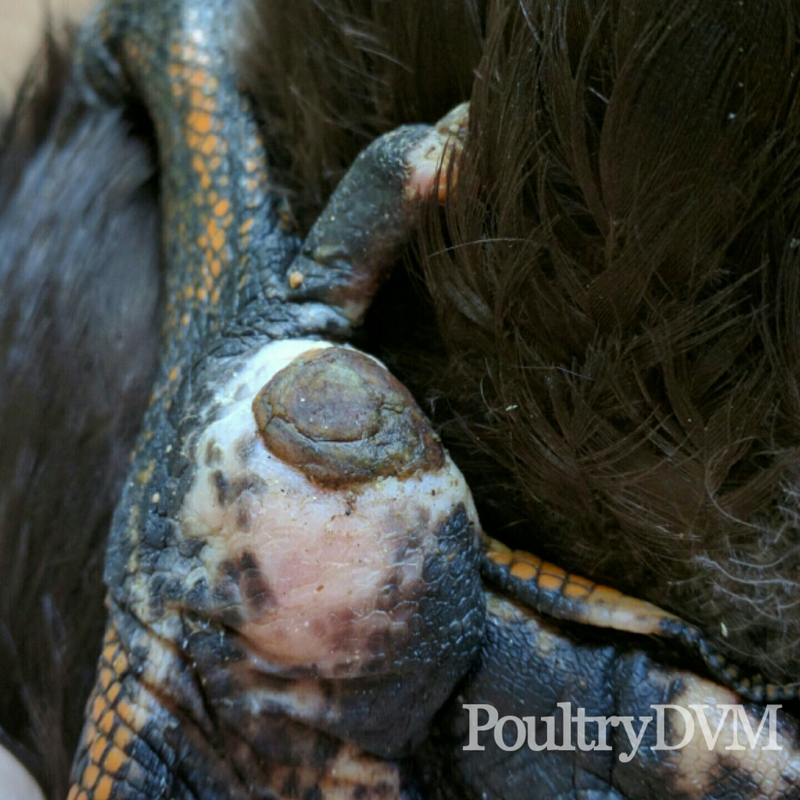 Bumblefoot (pododermatitis), is a common condition seen in any birds kept in captivity. 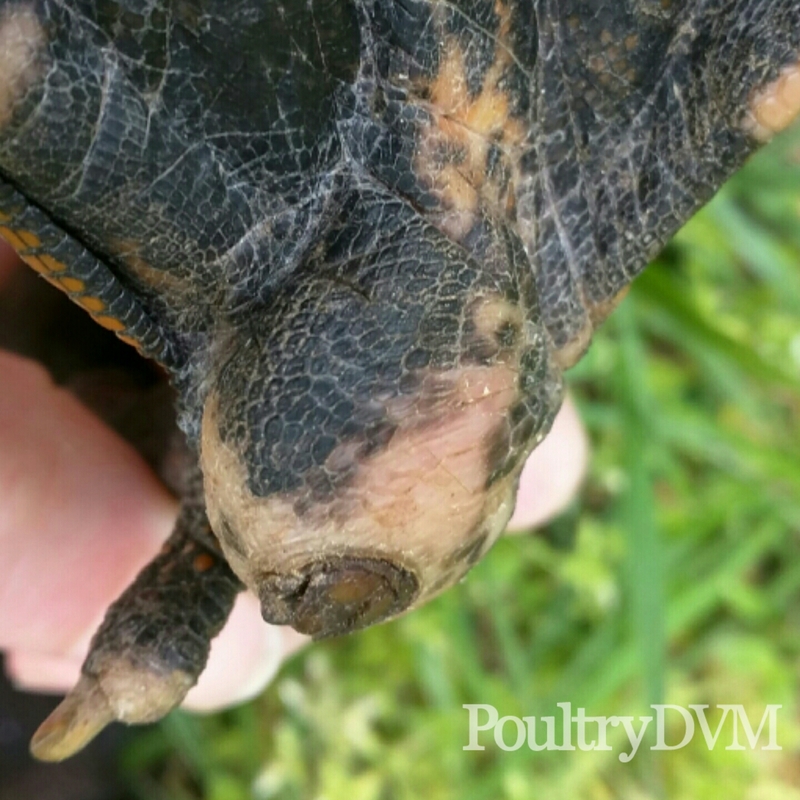 Prevention, early recognition, and early treatment are key when it comes to managing bumblefoot. 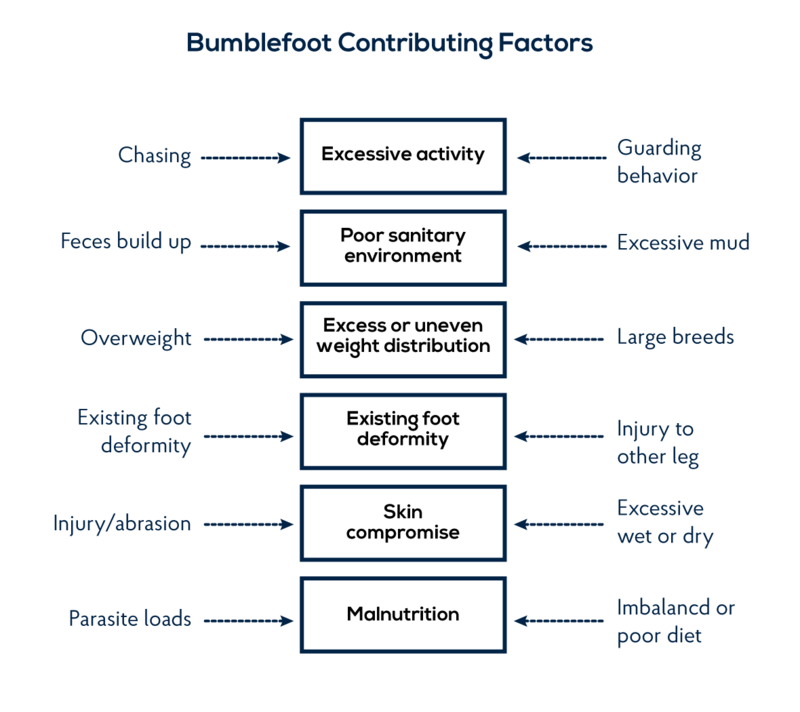 Bumblefoot results from several contributing factors. 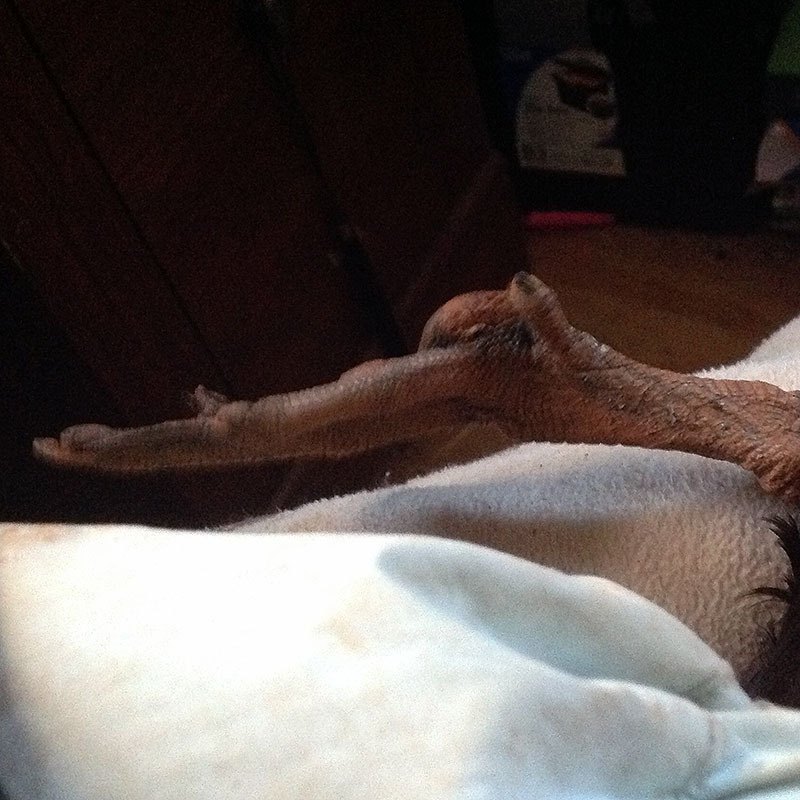 This includes any existing foot deformity, being overweight, trauma, poor circulation, irritation (such as excessive friction or pressure), lack of swimming water available, exposure to rough or inappropriate surface used for flooring, excessive moisture, poor sanitation, too much or too little activity, imbalanced diet, or vitamin deficiencies. What does Bumblefoot Look Like? 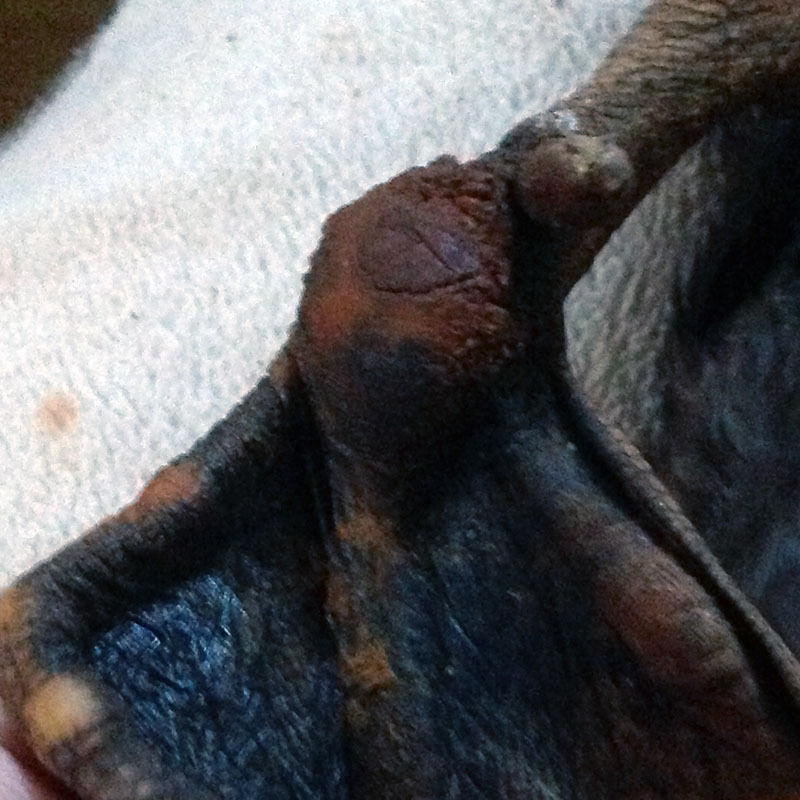 During the early stages of bumblefoot, it may initially appear as a small, superficial lesion, rough abrasion, or mild discoloring of the foot. However, once there is a breakdown in the skin barrier, it provides a direct opening for opportunistic bacteria (often Staphylococcus aureus) to enter and cause infection. 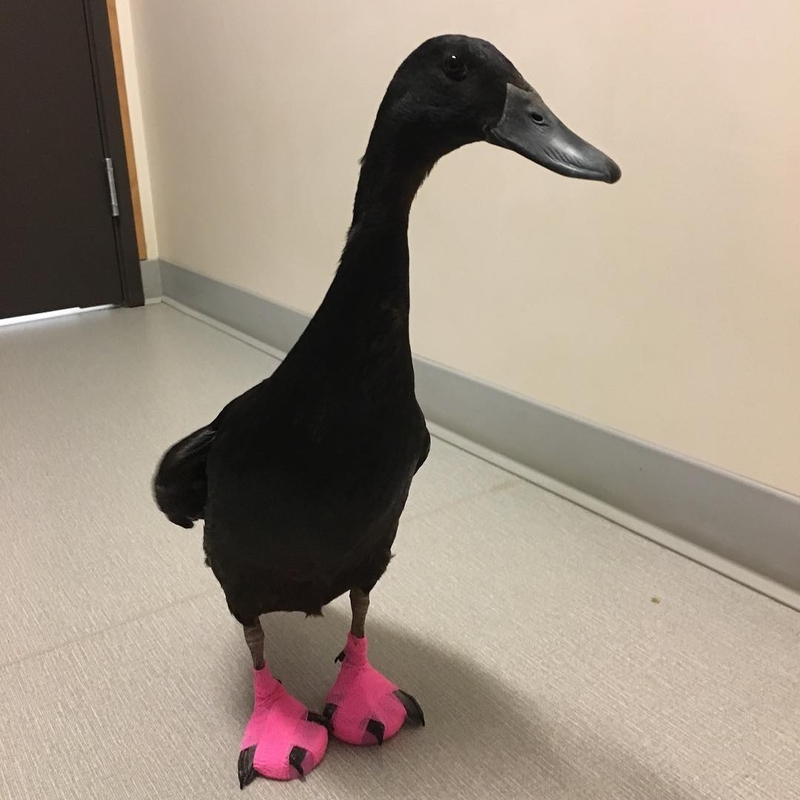 Once the foot is infected, ducks often begin to show slight behavioral changes (associated with onset of pain caused by the infection), and varying degrees of lameness. If left untreated or not treated appropriately, the infection often becomes chronic and progressive, eventually spreading into the underlying bones, tendons and joints and resulting in osteomyelitis, tenosynovitis, septicemia, and arthritis. 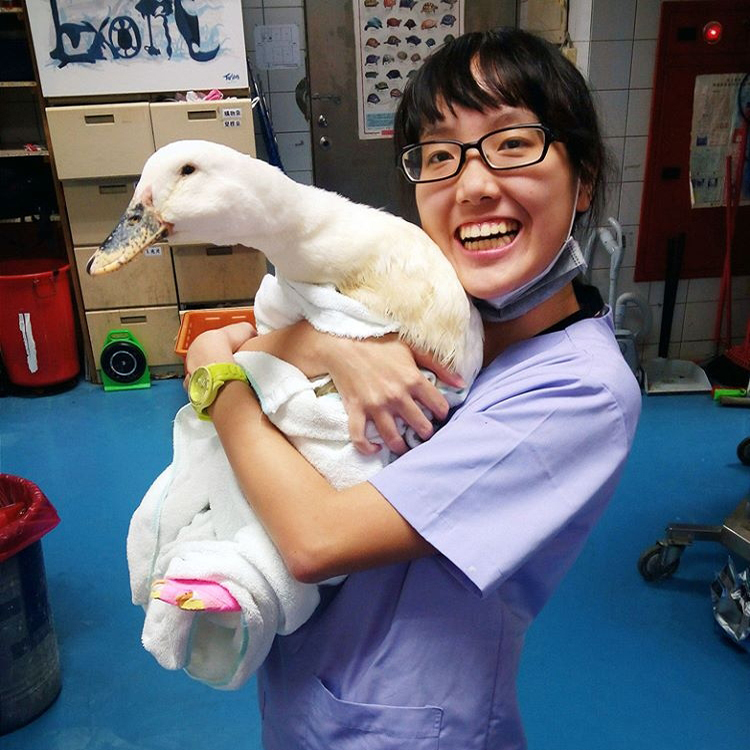 Initially, if it is a relatively mild or early stage bumblefoot, daily Epsom salt soakings, bandage management, nutritional support, and strict sanitation of the environment to ensure the duck's foot stays clean and dry may be sufficient. However, if after 1-2 weeks you see no improvement or it gets worse, then you need to schedule an appointment with you veterinarian as surgical debridement of the wound and antibiotics for the infection may be necessary. Preventing infection: It is really important to keep the foot as clean and dry as possible, to prevent contamination with bacteria and other foreign organisms. This is where daily bandaging is important, hospitalization (in some cases may be indicated), and strict sanitation. Taking pressure off the area: For optimum healing, pressure needs to be reduced to the area. 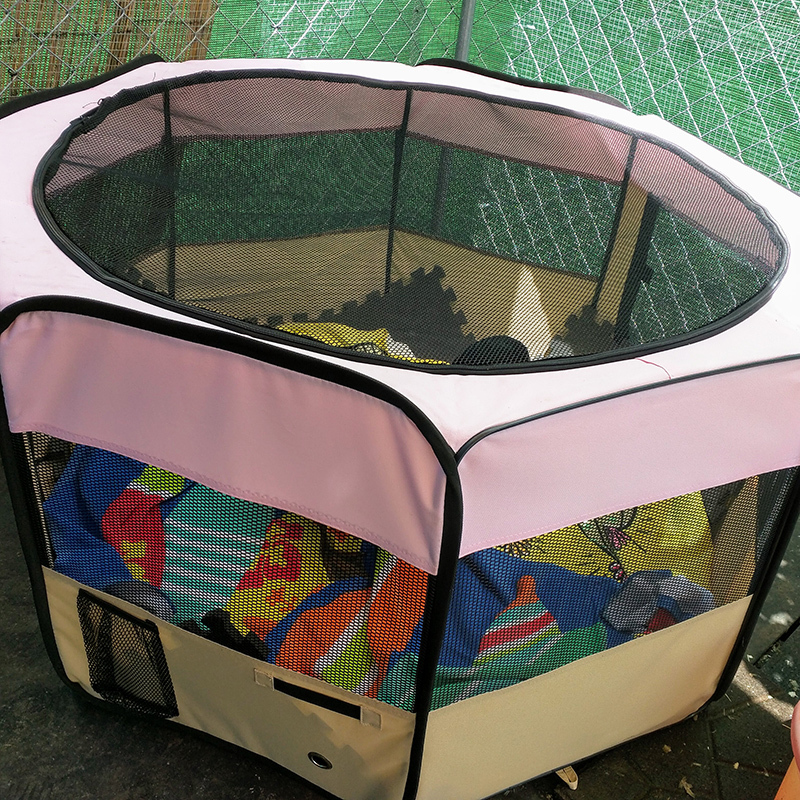 This can be accomplished with the design of a special orthopedic boot, doughnut-shaped foot pad (even a piece cut from a floating swimming pool noodle), or specially wrapped bandage (so as to take the pressure off of the location of the bumble). 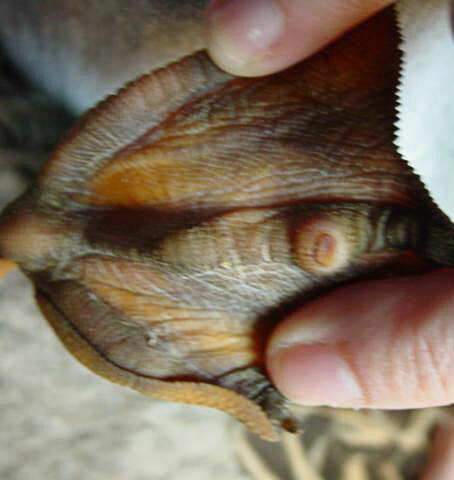 Debridement of dead tissue: This is usually necessary in cases of moderate to severe bumblefoot; which is when a necrotic plug of tissue is present within the ulcer. This process will better promote healing of the ulcer. 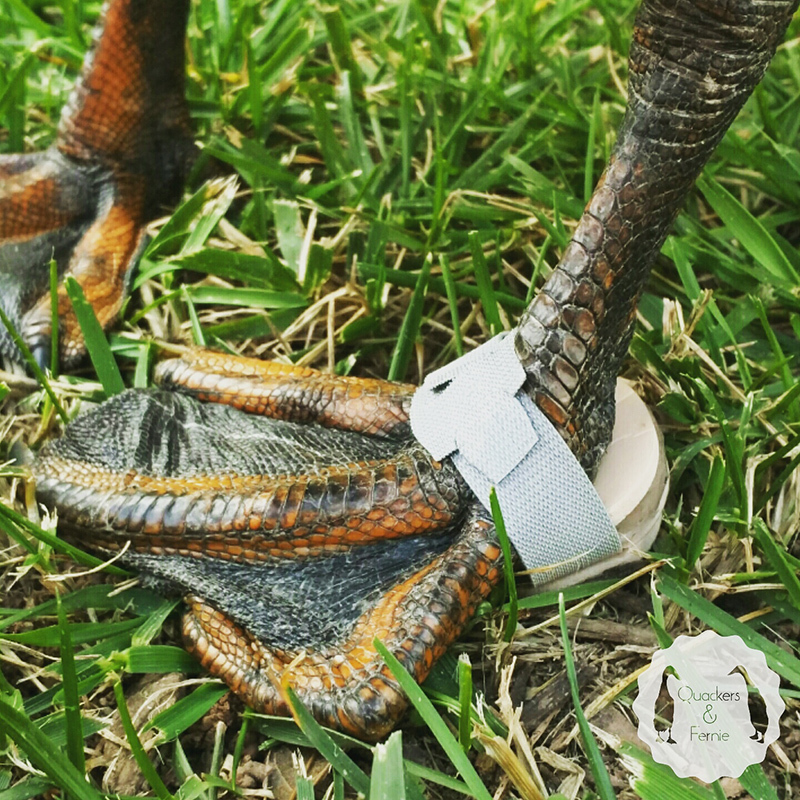 Bandage management: Appropriate bandage management methods for bumblefoot include the use of dressings and topically-applied medications to the foot. 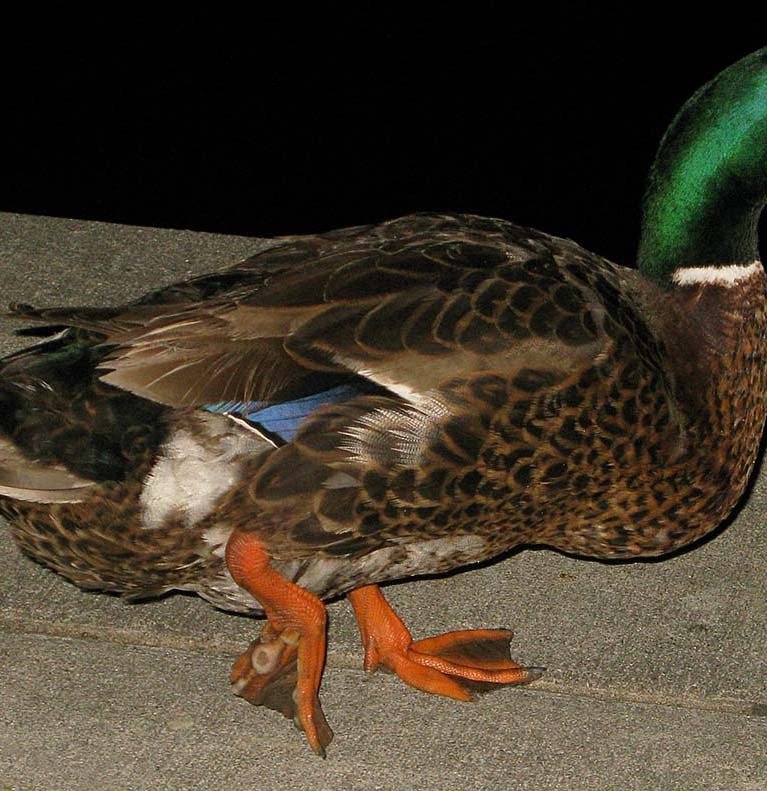 Nutritional evaluation of diet: Evaluate your duck's diet and correct any possible nutrient deficiencies. Some additional vitamins, especially vitamin A can be helpful. 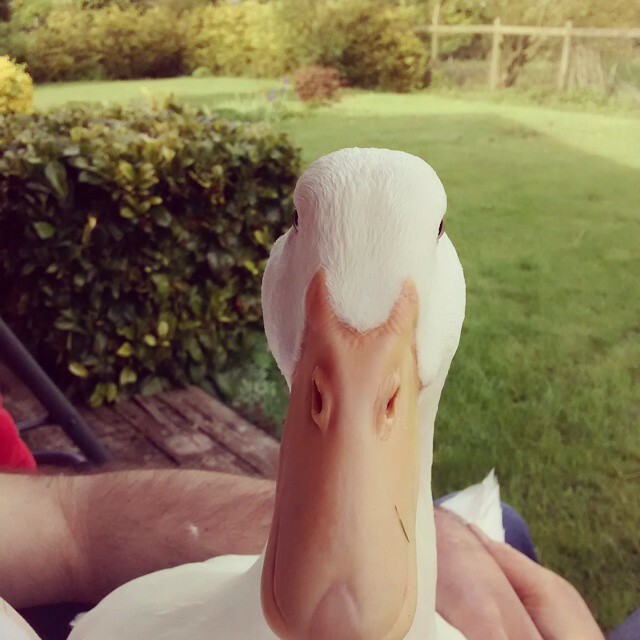 Management changes: In order to prevent the bumblefoot from becoming reinfected, it is a good idea to try to understand why your duck developed bumblefoot. Re-evaluate how flock members get along with one another (is one duck getting excessively chased or mated with? ), what their daily routine is (do they spend most of their time out of the pool), their health status (do they have an existing illness or intestinal parasites?). 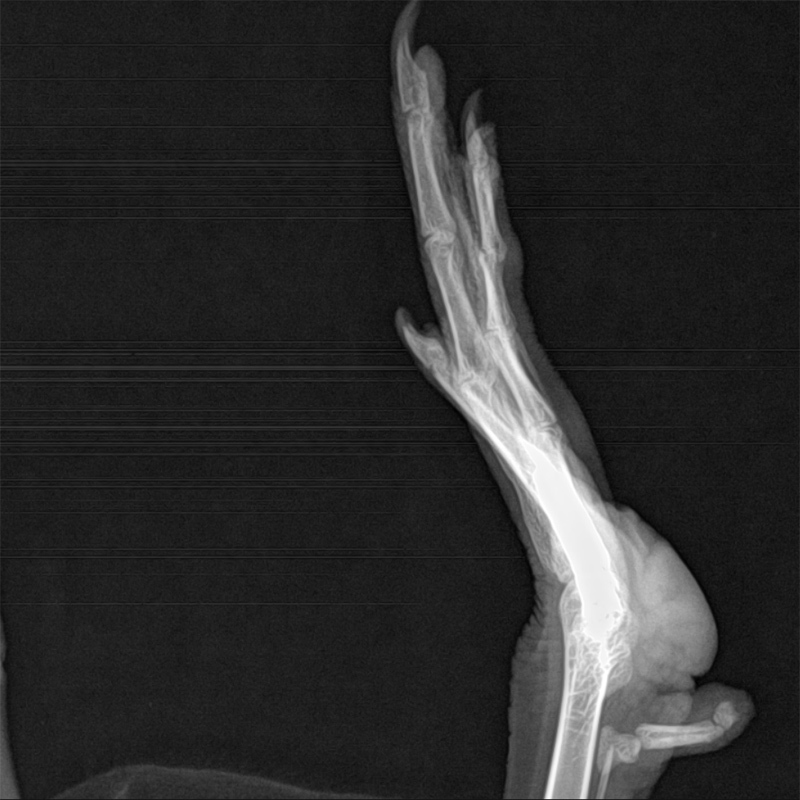 Bumblefoot left untreated or improperly treated, can lead to osteomyelitis, which occurs when the infection spreads to the bone. 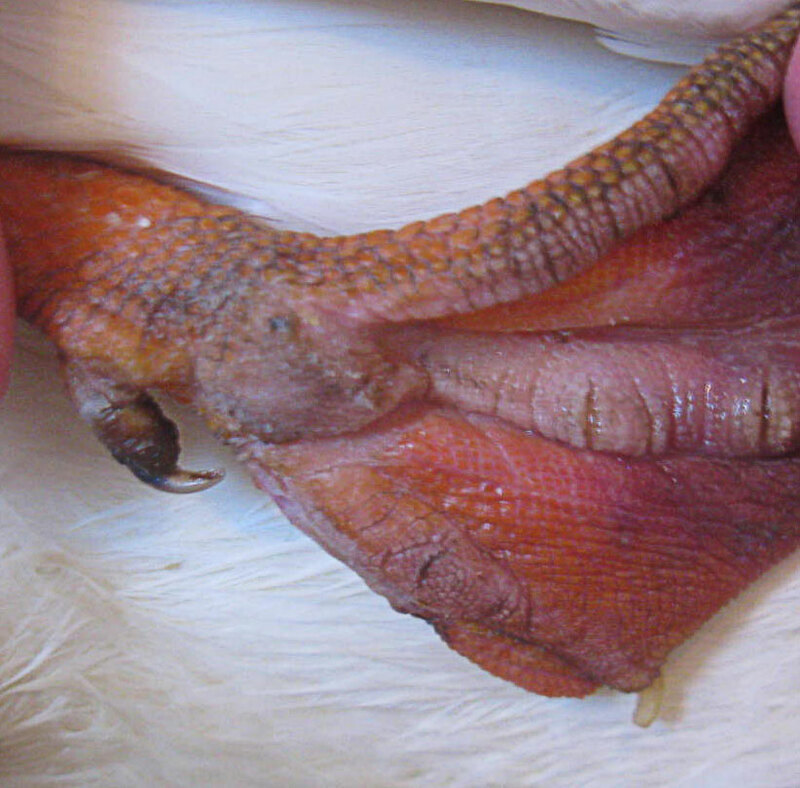 Another serious complication of bumblefoot is that if the condition becomes chronic in nature, it increases the bird's risk of developing amyloidosis, which is a fatal progressive condition which has no cure. 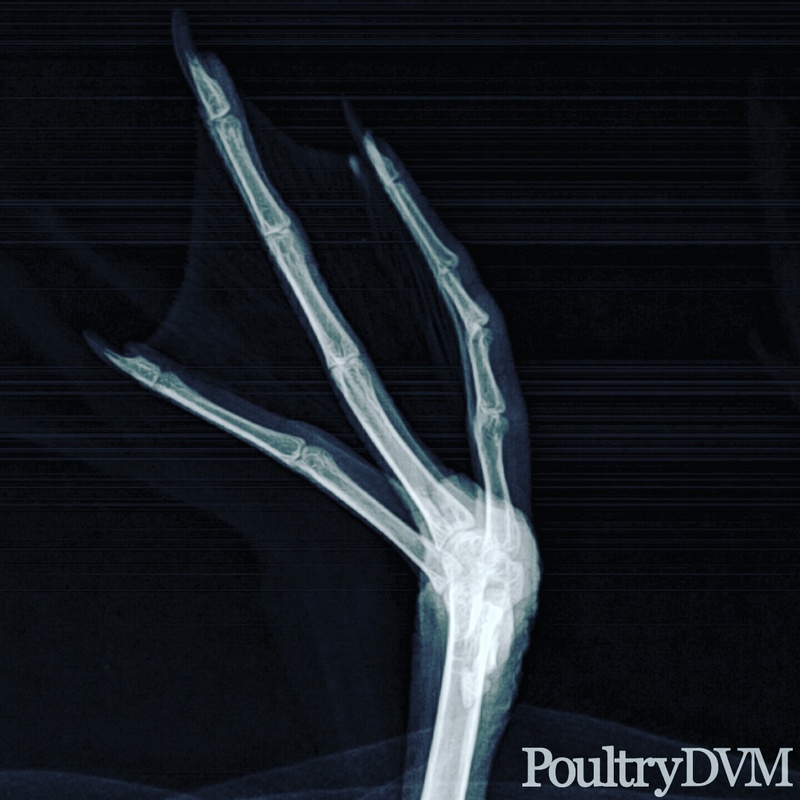 Radiographs - Needed to verify whether infection has reached the bone. Bacteria culture and sensitivity testing - how selection of antibiotics should be chosen. Keep area as clean as possible Practice good sanitation to reduce accumulation of feces. 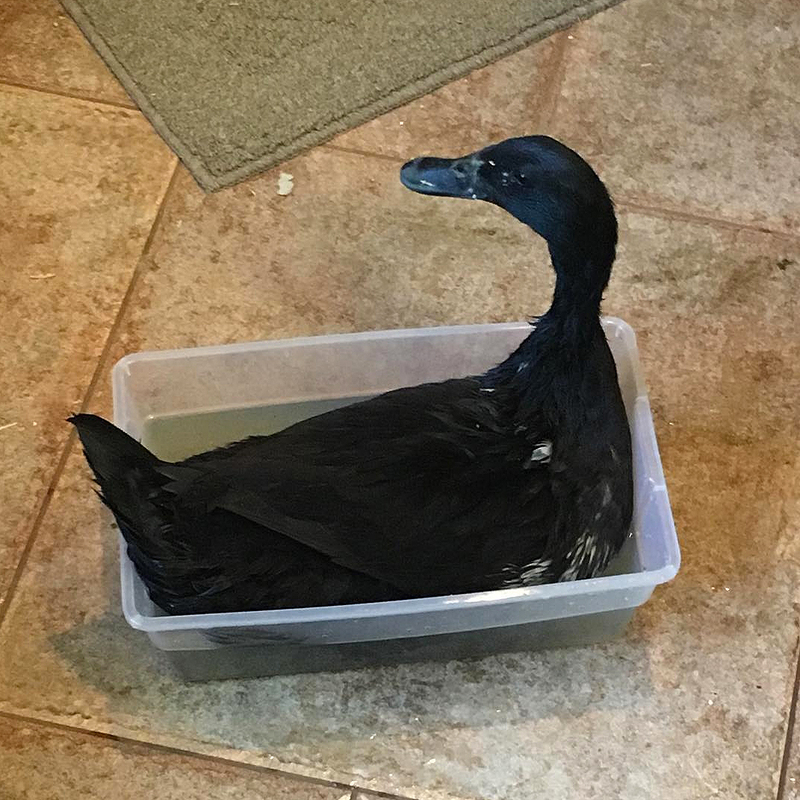 Encourage ducks to spend as much time as possible in the water Provide a small pool, pond, large water trough, bath tub---or any container that can be filled with water and provide enough depth so that the ducks can float without their feet touching the bottom of the pool. 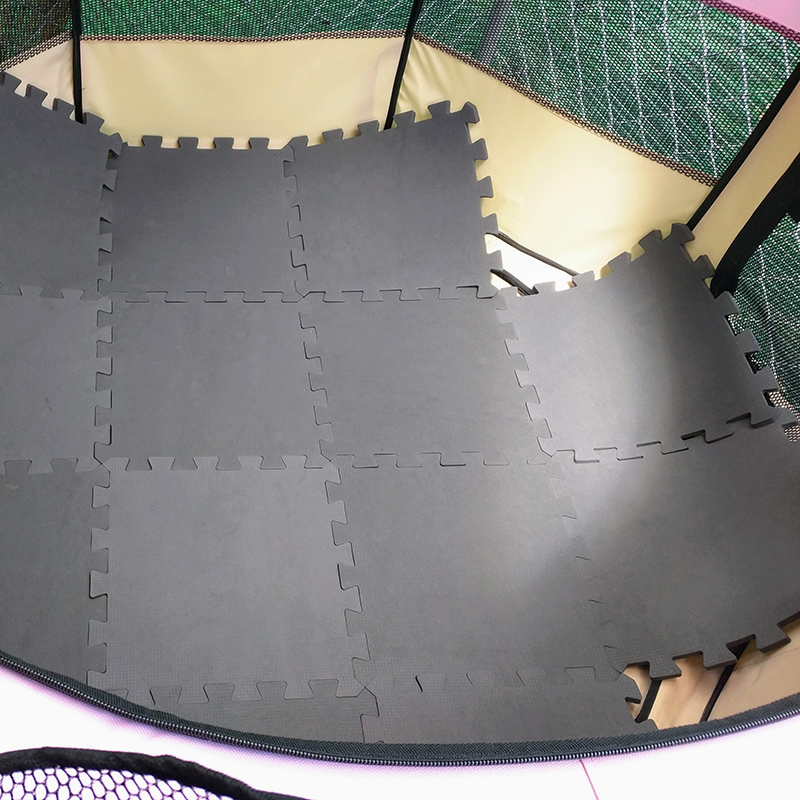 Provide a soft surface to walk on Use natural grass, astroturf (artificial grass), butyl, or rubber mats. Antibiotic intravenous regional perfusion therapy (IRPT) A treatment method that has been used often for treating extremity infections in humans and horses. It has the advantage of achieving very high antibiotic concentrations in affected tissues. Recent research shows this method of treatment to be promising for rapid recovery of birds. 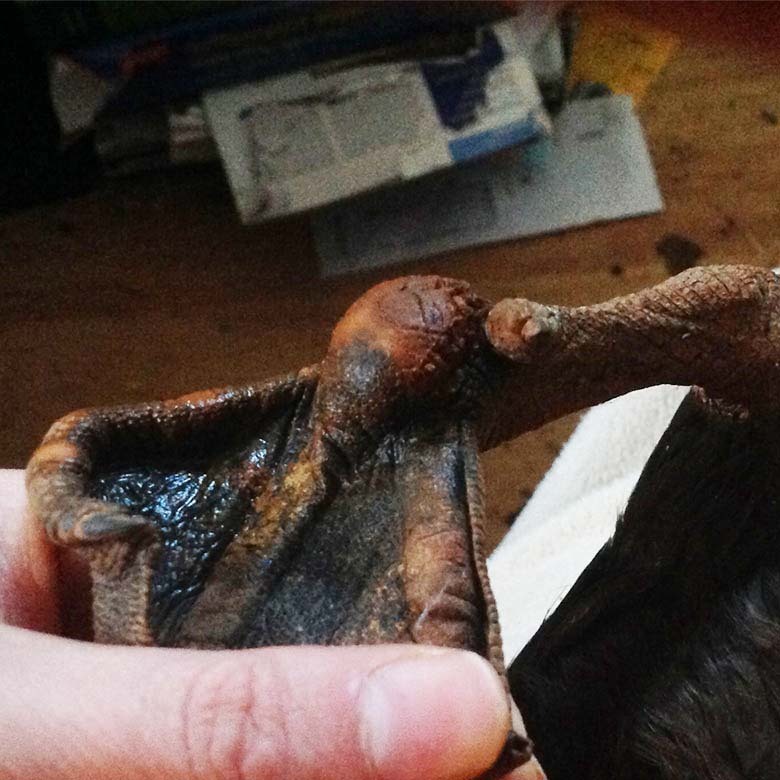 Three out of four birds that received the treatment underwent a rapid recovery. 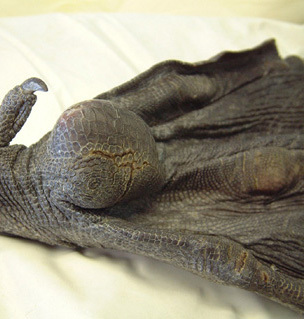 However there was one bird that did not respond to the treatment and was ultimately euthanized. Surgery Surgical debridement of the infected tissue may be needed, followed by a combination of administering targeted antibiotics, wound management, pressure relief, supportive care, anti-inflammatory medication, and environmental modifications. This procedure should only be performed by a veterinarian. Acupuncture sessions After eight sessions a bald eagle showed a drastic improvement in lameness score (decreased from 5 to 0-1) and a full recovery from bumblefoot lesions. 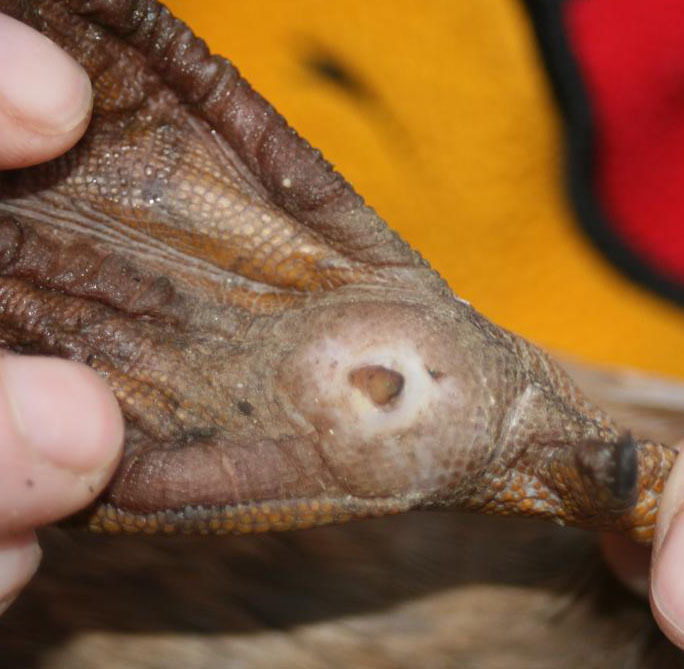 Photodynamic therapy Proved to be an effective therapy for the treatment of penguins with stage 3 bumblefoot. Encourage daily swimming in a pool, large enough so that they are able to swim without their feet touching the bottom. 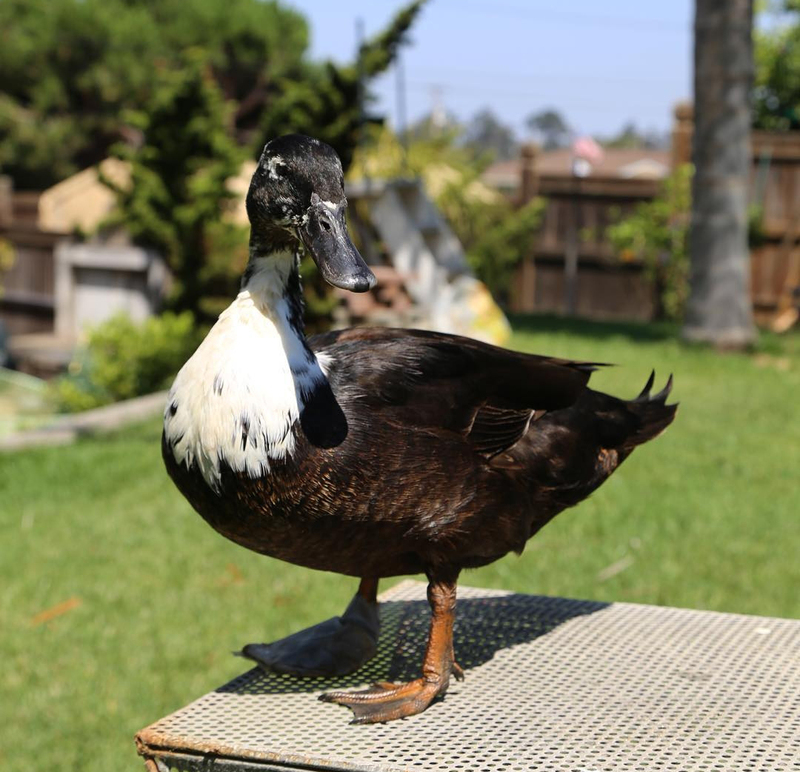 Provide pebbles or soft mats for ducks to stand on, as it allows for better distribution of pressure.